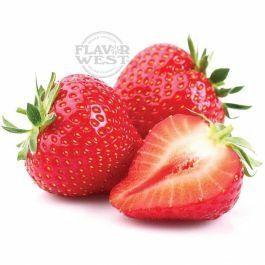 Natural strawberry flavor is a tasty sweet, red and delicious fresh strawberry flavoring. Use it to add extra-strong flavor sparkles to your foods and baked treats, drinks, beverages, gelatos, candies, ice creams, lip balms and more. Type: Strawberry Water Soluble Flavoring. Ingredients: Natural and Artificial Flavoring and Water, Ethanol, Propylene Glycol. USP Kosher Grade Flavoring. Usage Rate: 15-20% for E-use. Flavor suitability: Suitable for all food and beverages, baked treats, drinks, beverages, gelatos, candies, ice creams, lip balms and more. Specific Gravity: 1.19 No Refunds on Flavoring.